Local digital radio was disrupted in the Moray Firth area while police dealt with an incident at a transmission facility on the Black Isle. 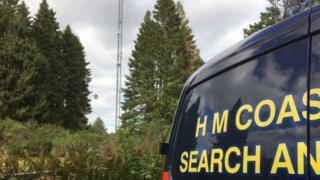 Emergency services were called to the Mounteagle transmission tower near Munlochy at about 08:20 on Tuesday after reports that someone had been spotted on the 800ft mast. Police, fire, ambulance and coastguard crews spent the day at the scene. It is understood a man was later brought to safety. The incident disrupted DAB digital radio signals from the transmitter. Local radio station MFR tweeted an apology to its listeners.